Another year is in the books, and as we look back it was a very fun and successful year. 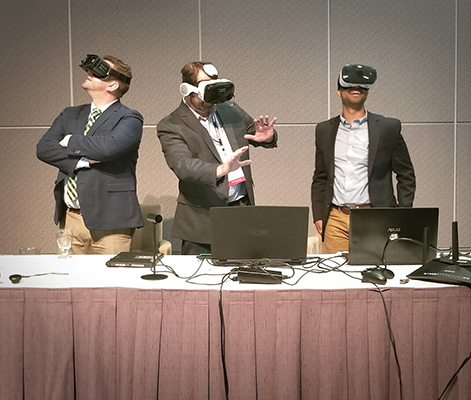 At the ASLA Annual Meeting and EXPO in Los Angeles, there were several digital technology sessions covering some of the leading tools and tech including BIM, augmented and virtual reality, innovative prototyping, demystifying technology and more. Thank you to all who supported these sessions and to the panelists for sharing their tools, techniques, and passion. It’s a new year, which is typically the time we speculate about various things, including what’s on the horizon of the ever-changing technology front. As we continue to see advances in the way that new technologies are evolving and aiding in the design of healthier, safer, and more prosperous landscapes, one thing that’s certain is that there’s likely to be a downpour of new technology that will continue to aid the field this coming year. As we at the Digital Technology Professional Practice Network (PPN) seek to forecast some of the trends and stats as witnessed from our various weather stations, stay tuned! It is necessary for the modern landscape architect to familiarize themselves with useful applications and knowledge on the latest technology (tech) in the digital atmosphere. As tech rapidly evolves, so does our need to adjust our techniques and ability to utilize these new tools to stay relevant among our AE counterparts—this has become the new adaptation cycle for the modern-day practitioner. There’s much discussion in the tech world revolving around the latest gadgets and technology, including the cosmic explosion of the IoT (internet of things), the increasing availability of open source data, the ever-present use of drones and other sensors, super computing and remote cloud virtualization, augmented and virtual reality, 3D printing, information modeling, and many other technologies that influence our industry. It almost requires a full time tech meteorologist to report the forecast for our profession. Fortunately, we’ve done just that. We are very excited to announce that there will be several events for the Digital Technology PPN at the upcoming ASLA Annual Meeting in New Orleans! This past year we have seen many advances in digital technologies and have discussed many of these new technologies and topics in our various Field posts. This conversation will continue at the annual meeting and we are happy to announce that there will be various education sessions, meetings, and events for the Digital Technology PPN. Below are a few events and meetings to keep an eye out for during your time in New Orleans. Come meet us at the PPN Lounge located in PPN Live on the EXPO floor for the Digital Technology PPN meeting. We will meet the members of the PPN, discuss our goals for the upcoming year, discuss our plans for Online Learning webinars, and chat about the latest and greatest tools out there. We will also have a discussion regarding new incoming PPN chairs and how to inspire others to join our PPN through various PPN leadership opportunities. 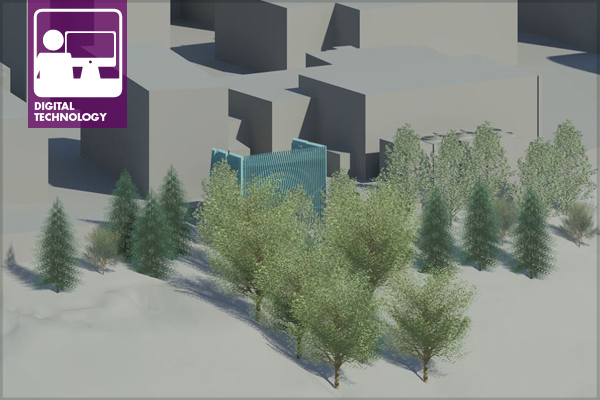 This year, the ASLA PPN’s will host EXPO Tours at the annual meeting. We will be meeting with various vendors to discuss new software, products, and technology that is out on the market. We will be visiting the following exhibitors during the tour: ANOVA, Keysoft Solutions, Land F/X, and Vectorworks. Sign up online to attend the Digital Technology PPN EXPO Tour or show up to PPN Live 15 minutes prior to the meeting to check availability! Tours will start from PPN Live on the EXPO floor. As a professional, do you ever wonder what your competitors are using for software? As a student, are you concerned with your technical abilities when it’s time for finding a job? Professors, are you wondering how your students stack up against your peer institutions? 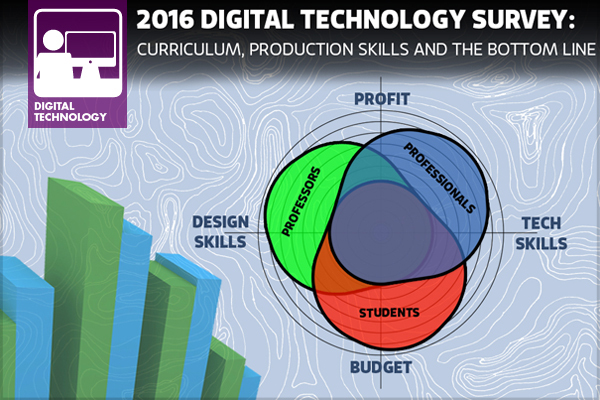 If you’re interested in any of these questions, the 2016 Digital Technology survey is worth the 5 minutes it will take you! 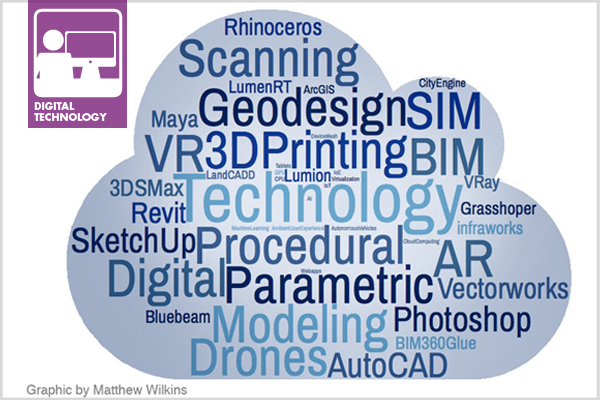 In an effort to better understand what existing and emerging technology is being used professionally, and taught in accredited institutions, the ASLA Digital Technology Professional Practice Network (PPN) has assembled a survey to poll faculty, students, and landscape architecture professionals. The intent of the 2016 survey is to create a central knowledge base of the software and hardware being used throughout the world of landscape architecture. In addition, a series of questions have been added to analyze the rising cost of technology and the effect on profits and education. We are asking professionals to estimate their annual software budgets, and students and faculty to provide information on software and hardware that is either required or available at their accredited institution. Imagine a design and documentation process where you make changes and the plans, sections, cost estimates, details, and 3d visuals get automatically updated and are instantly communicated with the project team. It is key to note that information modeling (IM) is a process. In theory this is not related to any specific program and may be expanded to include various workflows and tools to leverage information and foster greater collaboration in the design and documentation process. 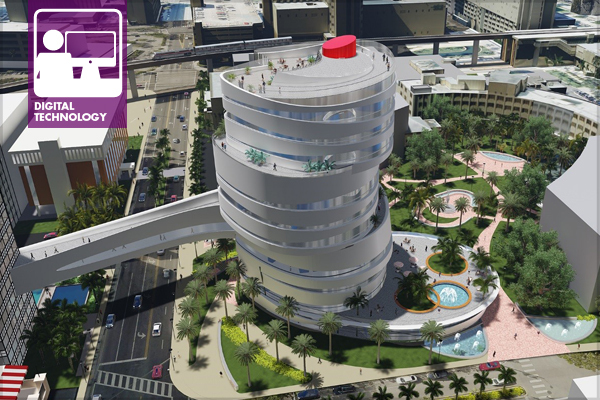 BIM is currently the working norm for architects who have proven that the information modeling process can help better inform design, communicate with the design and construction team, and be used throughout the life of a building. 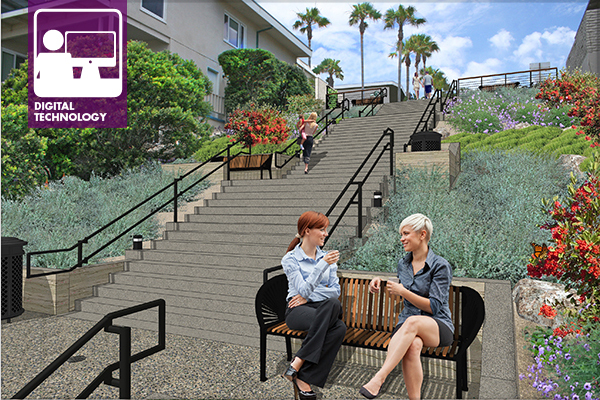 To date, landscape architects have had little involvement in the IM process and have yet to embrace it. However, is it because of the software, process, or something else? I guess the main question is, are we as a profession there yet?